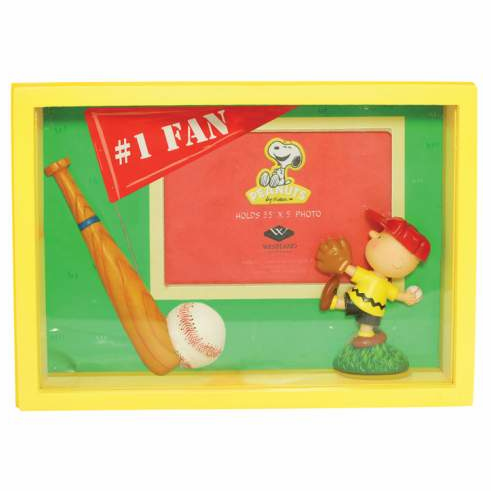 Charlie Brown #1 Fan Shadow Box Baseball Frame. Holds one 3.5" x 5" photo. Outside measures 6" x 8.5 x 1.5".